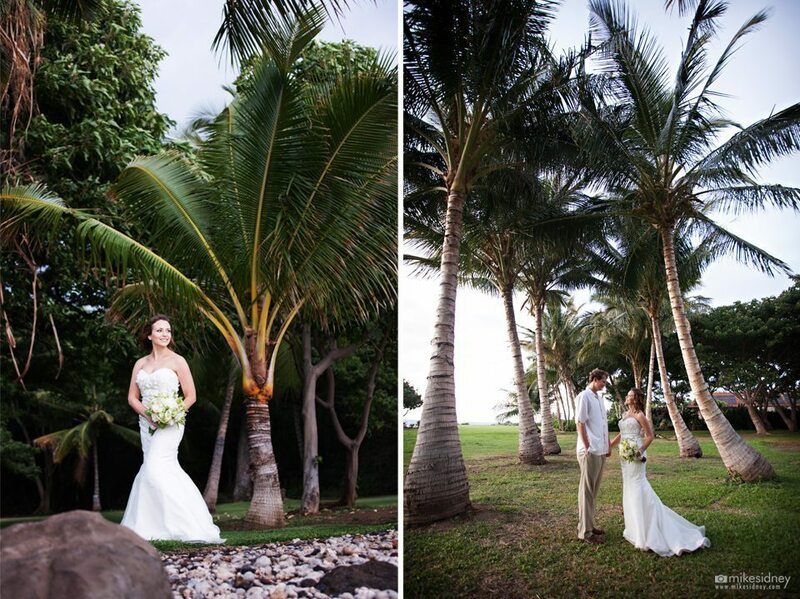 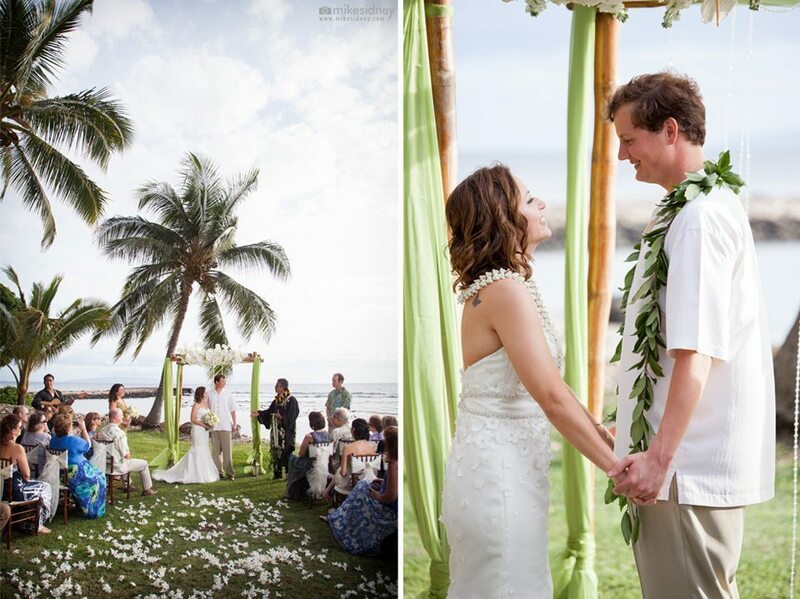 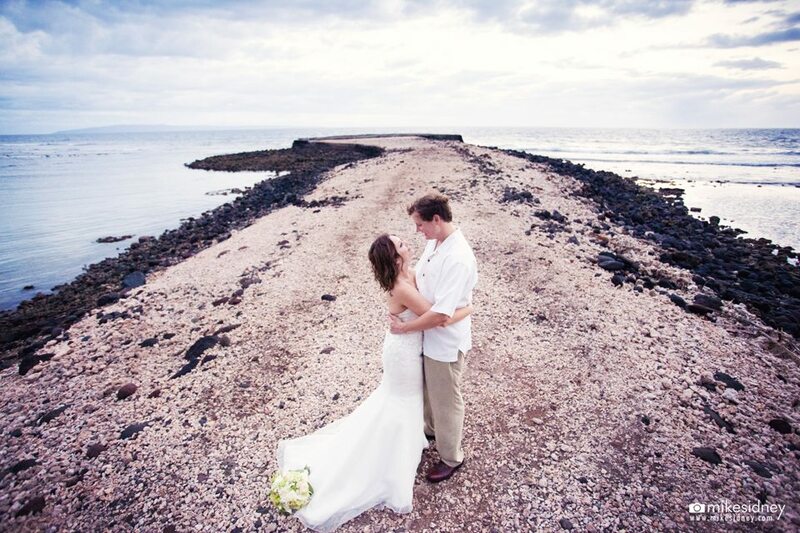 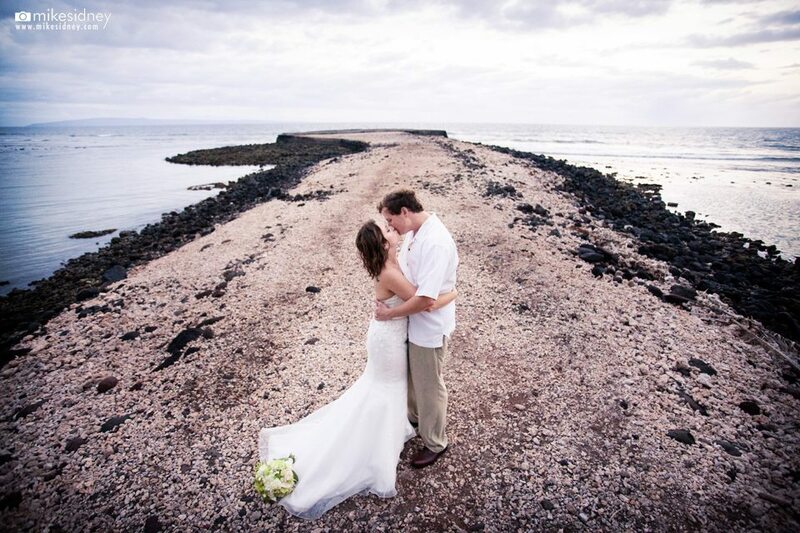 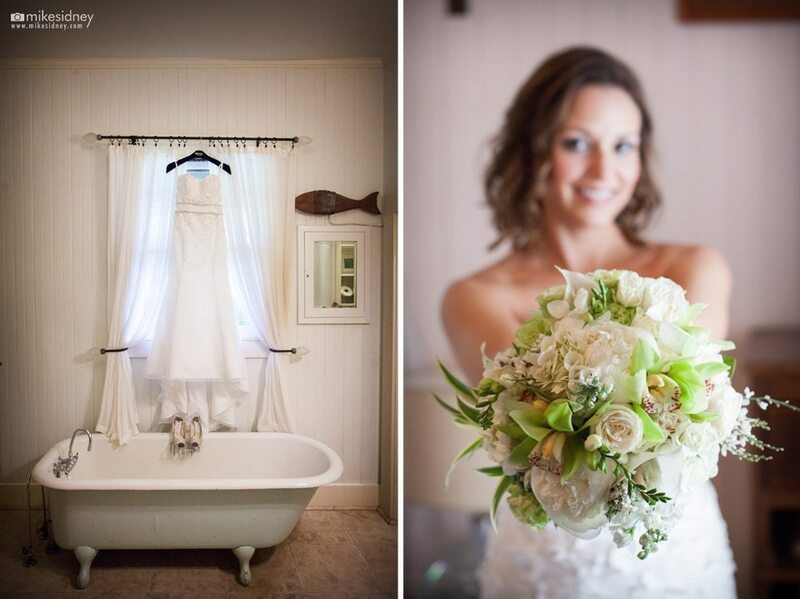 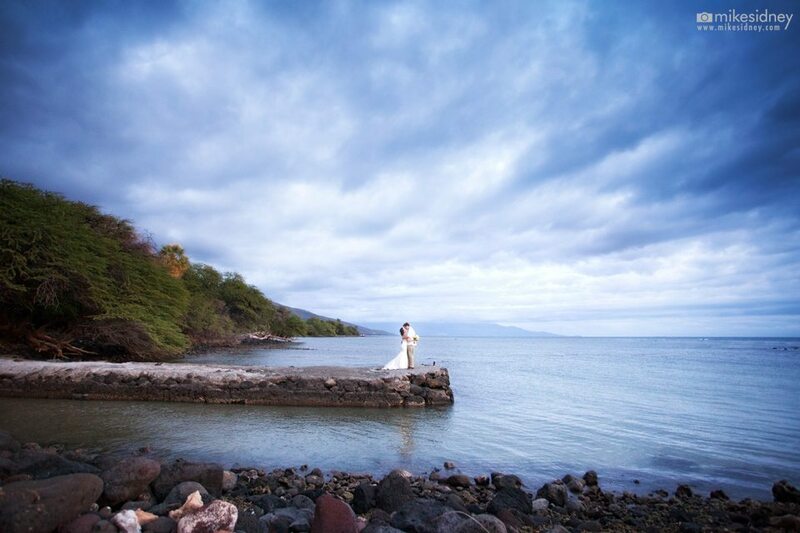 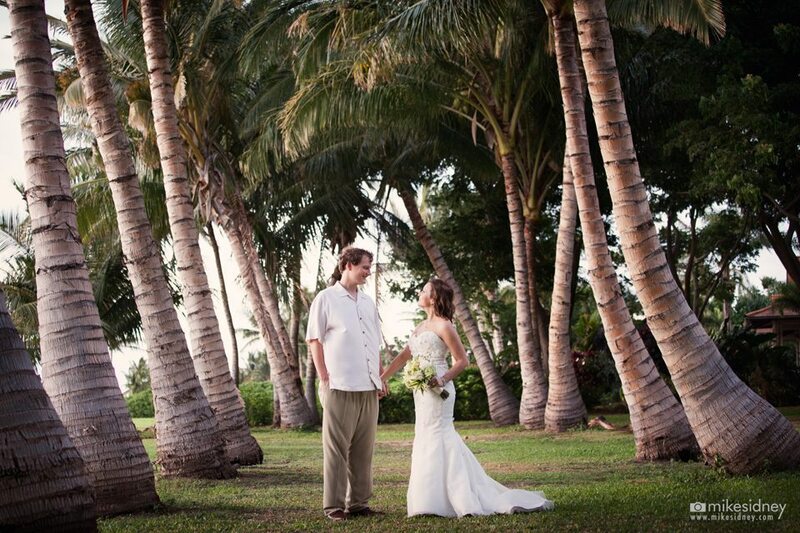 Maui’s Angels Weddings is thrilled to present the wedding of Christine & Clay at the Olowalu Plantation House! 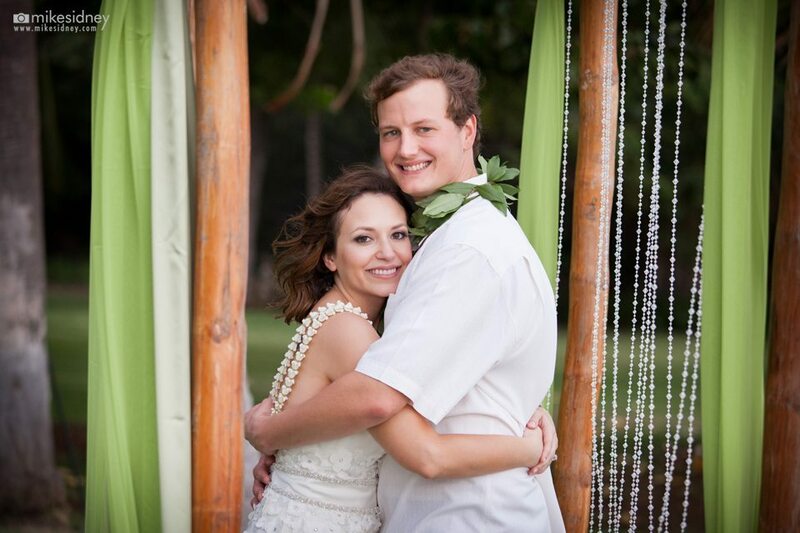 Such a sweet couple who traveled all the way from Texas to celebrate their love on the warm shores of Maui. 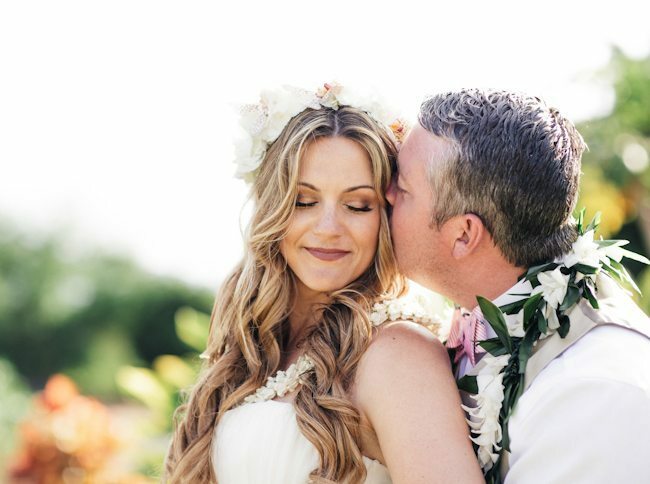 We had such a great connection with this couple and thoroughly enjoyed every aspect of planning their spectacular affair! 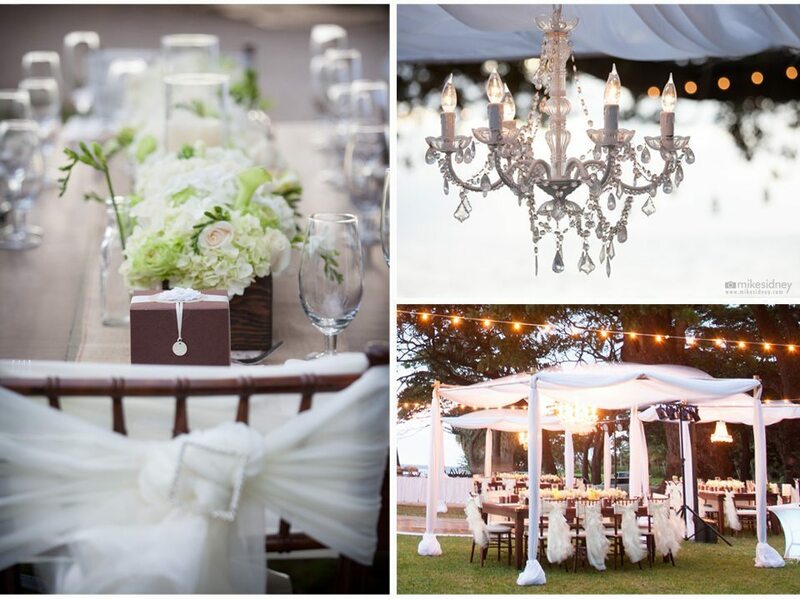 The bride envisioned something elegant, sophisticated and romantic for their big day which we created by incorporating open air dining cabanas with gorgeous swag and hanging chandeliers. 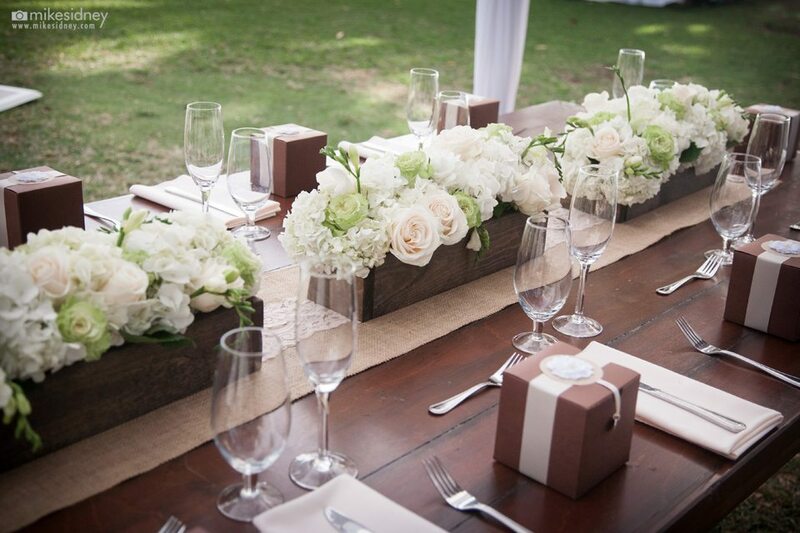 Inside the cabanas, were rustic farm tables, chiavari chairs and floral decor in varied tones of pale greens, ivory & white. 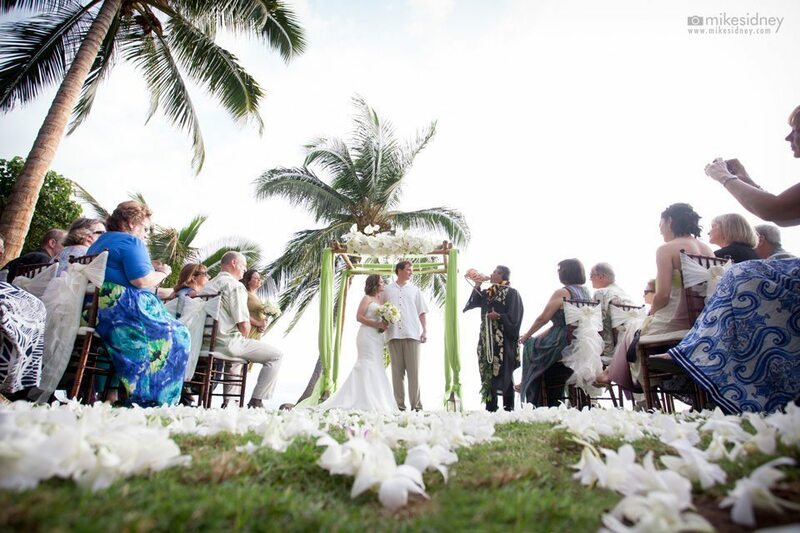 A 4-post bamboo arch with fabric draping and all white hydrangea adorned their ceremony site along with a orchid head pathway. 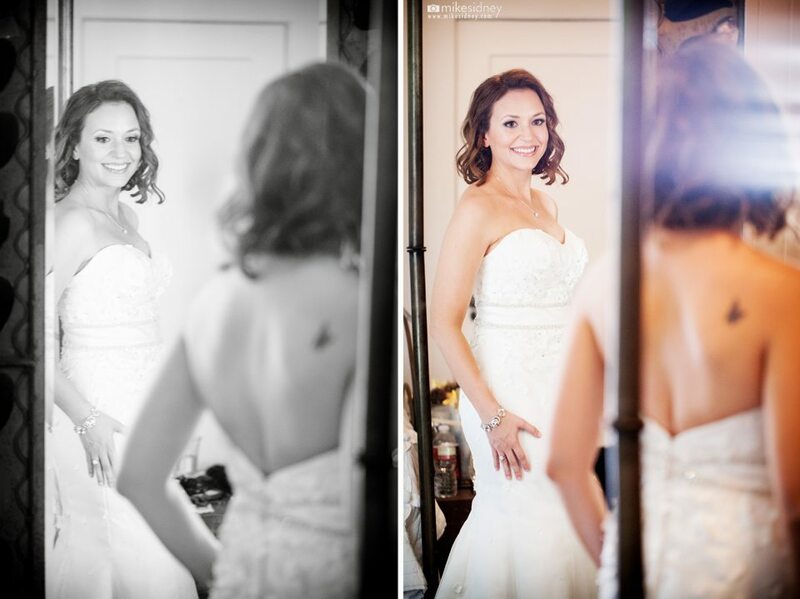 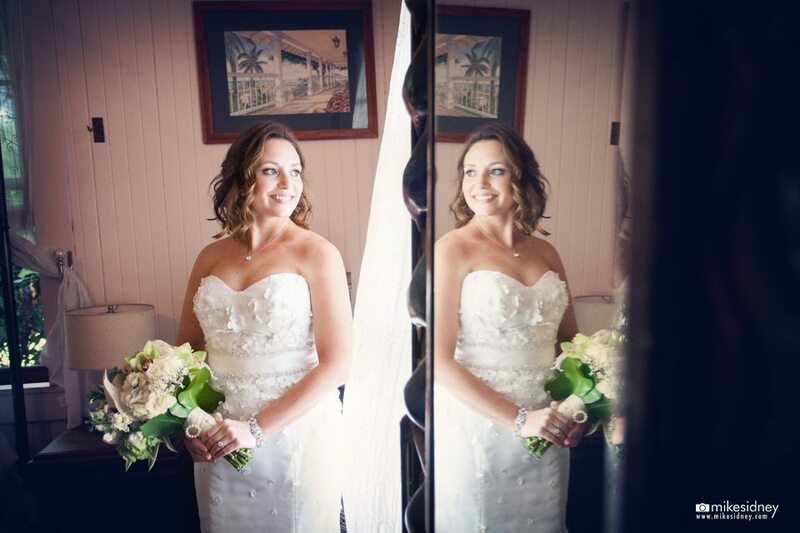 The day started with our gorgeous bride Christine as she put on the final touches before she walked down the aisle. 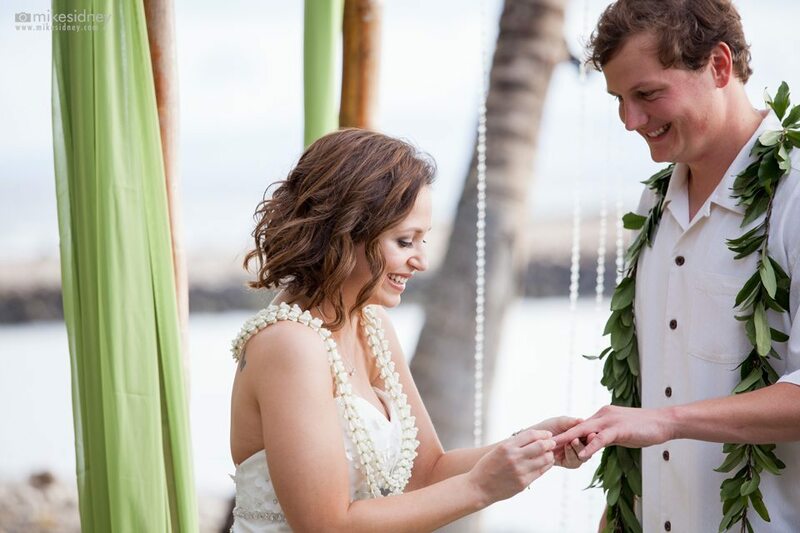 Her photographer, Mike Sidney, was there to capture those special moments! 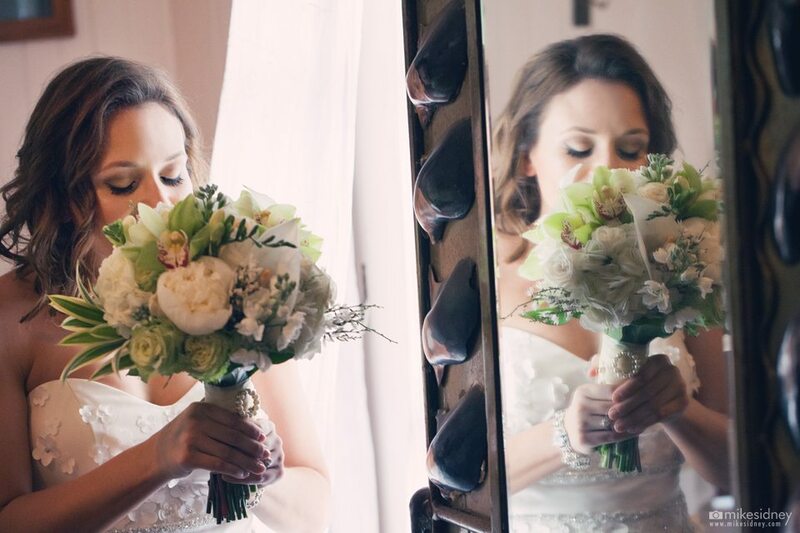 Christine’s bouquet, by Dellables, contained pale tea roses, garden roses and green cymbidium orchids, it was soft, romantic and elegant! 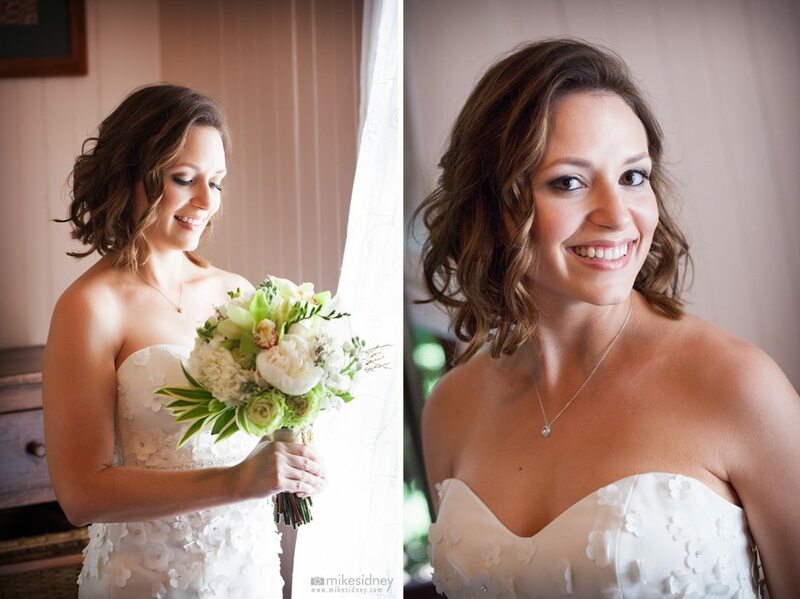 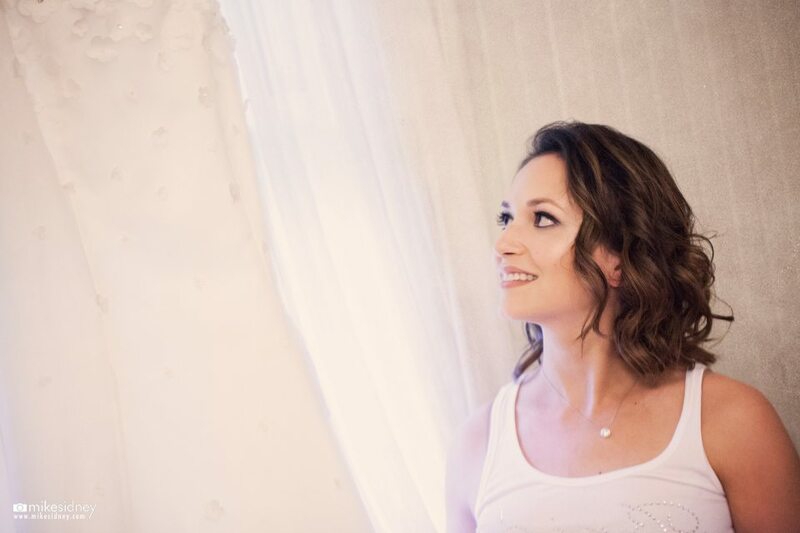 We love the brides loose waves and flawless makeup provided by Susan Bortz Designs! 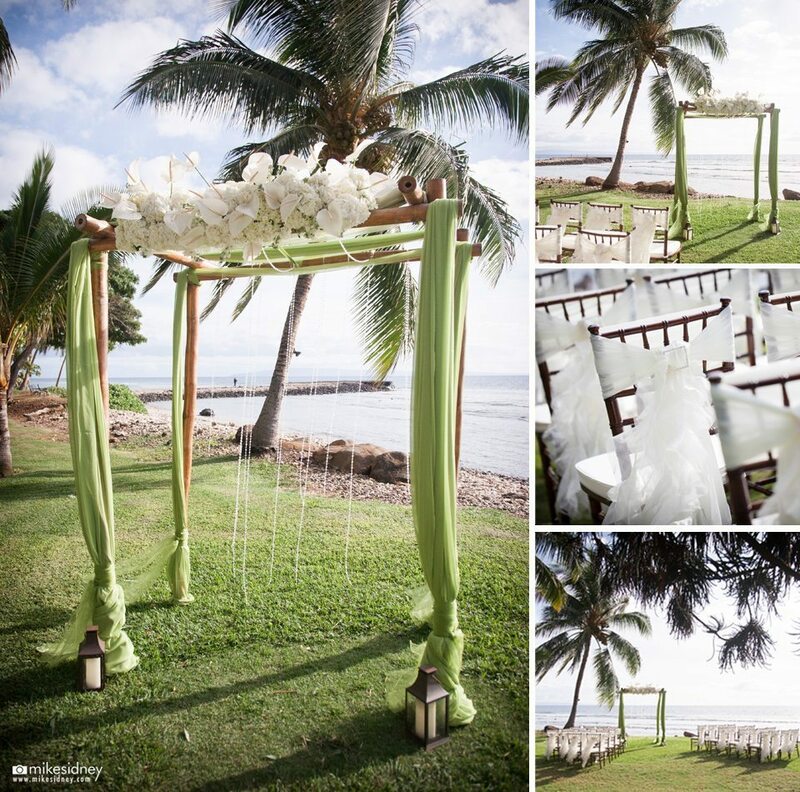 The 4-post bamboo ceremony arch, courtesy of Dellables, was adorned with hanging crystals on the back rail with soft green draping. 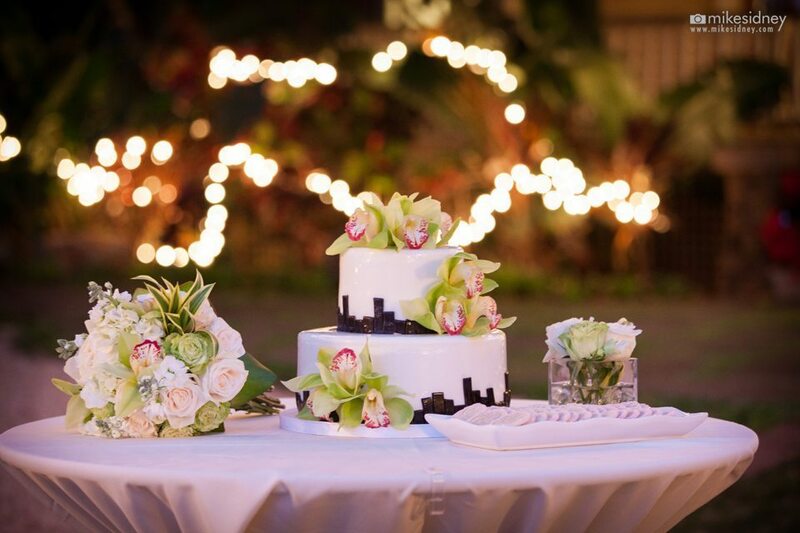 All white hydrangeas and antherium lined the top. 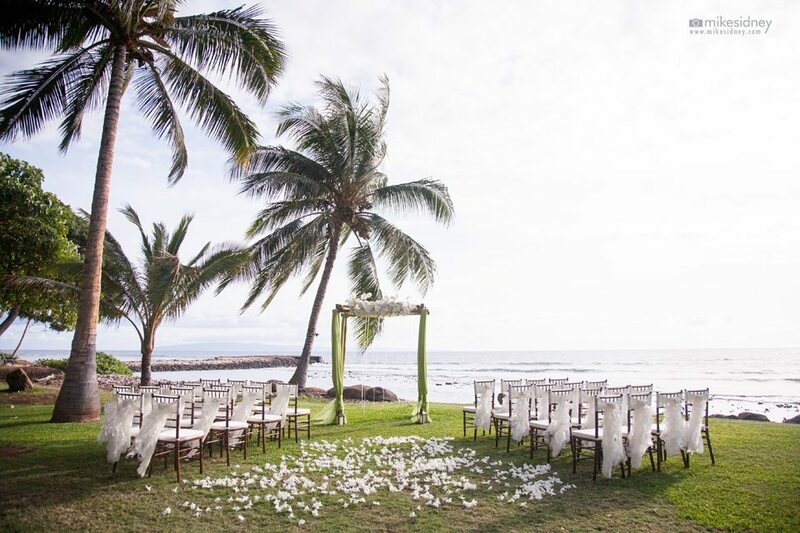 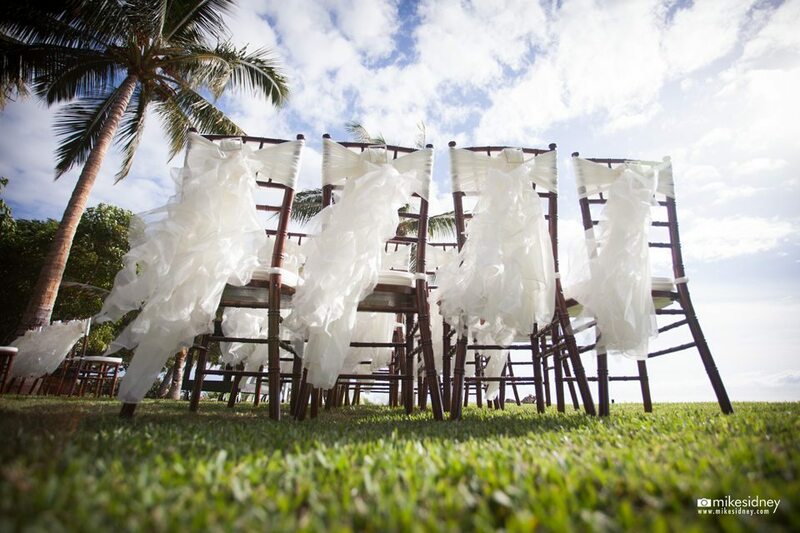 Guests were seated on dark wood chiavari chairs with decorative chair sashes, both courtesy of Hawaiian Style Event Rentals. 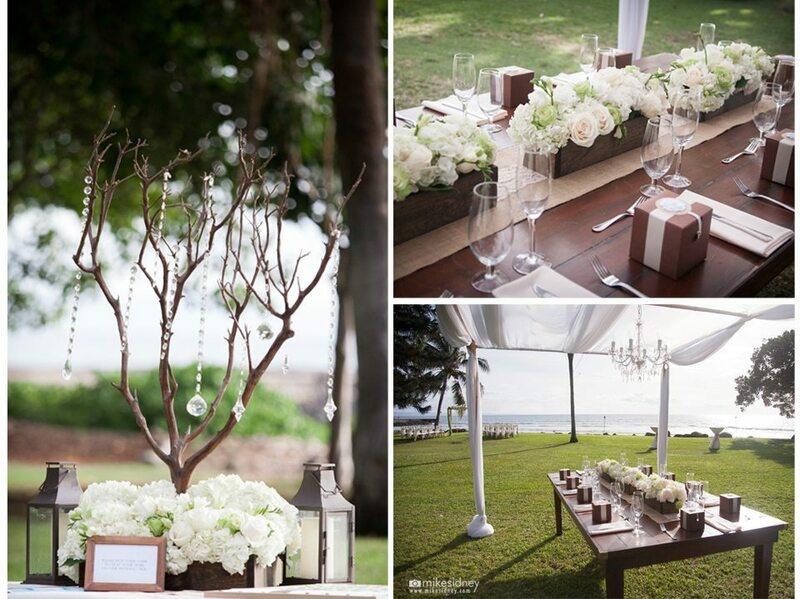 The guest sign in table was decorated with tall manzanita branches in dark wood boxes with white and green accent flowers. 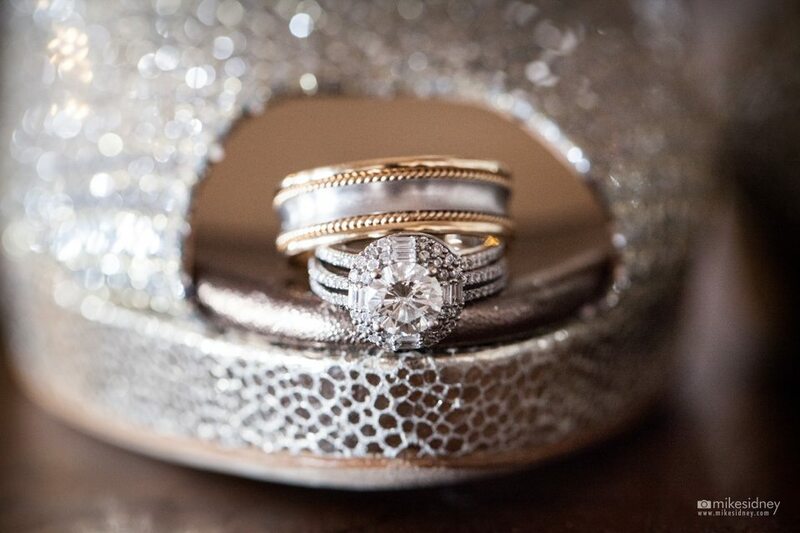 Crystals were hung to keep with the arch decor. 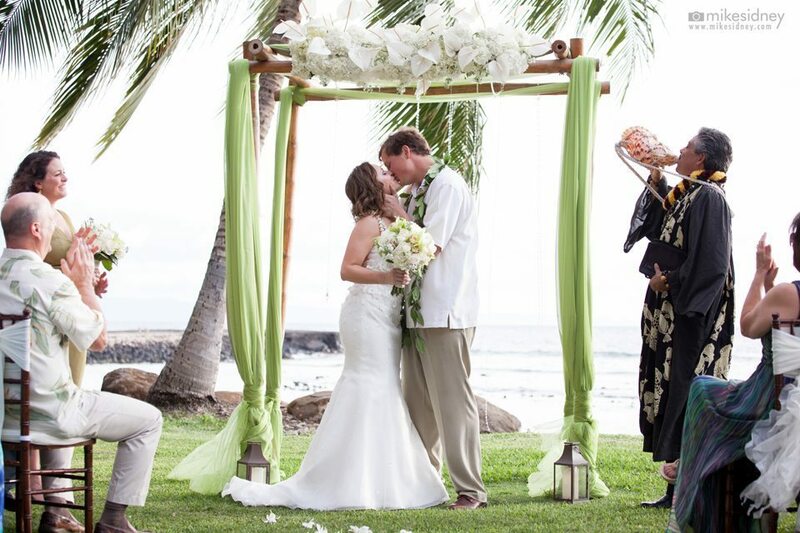 The couple’s heartfelt wedding ceremony was performed by Maui minister Dennis DeRego. 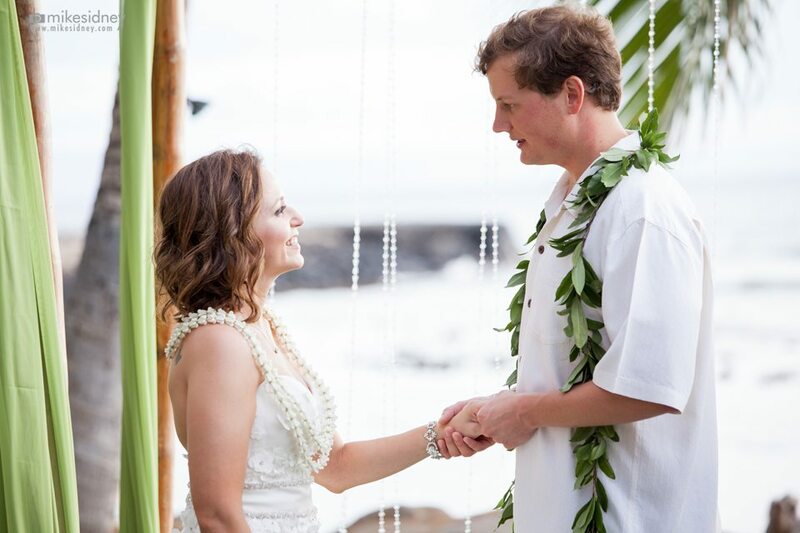 The bride & groom exchanged gorgeous Hawaiian leis during their ceremony: a white double crown flower lei for the bride and maile lei for the groom. 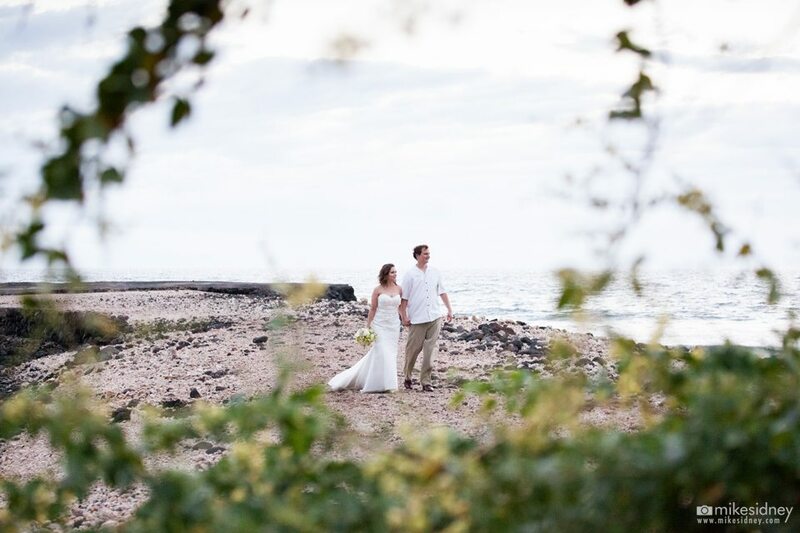 After the couple exchanged vows and were pronounced husband and wife, they enjoyed cocktail hour with their guests before they headed off for romantic portraits around the stunning Olowalu Plantation House property. 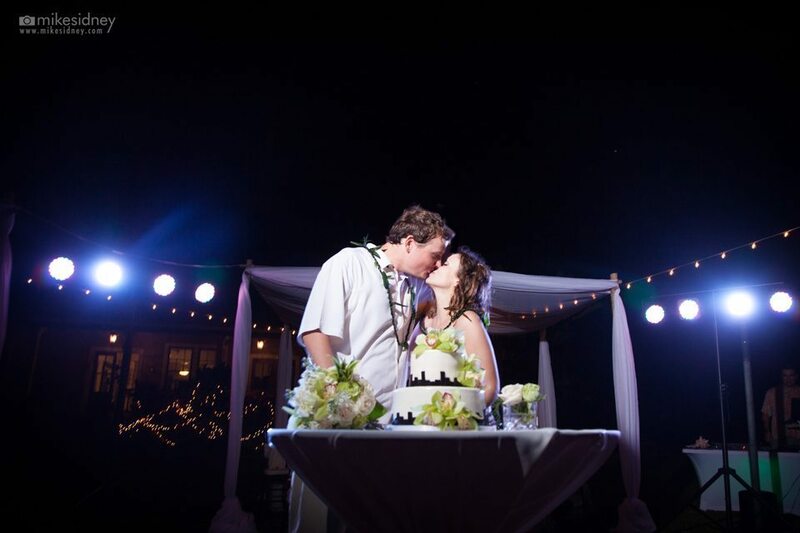 The celebration continued into the night with dinner, dancing and a beautiful 2-tier cake by Cake Fanatics. 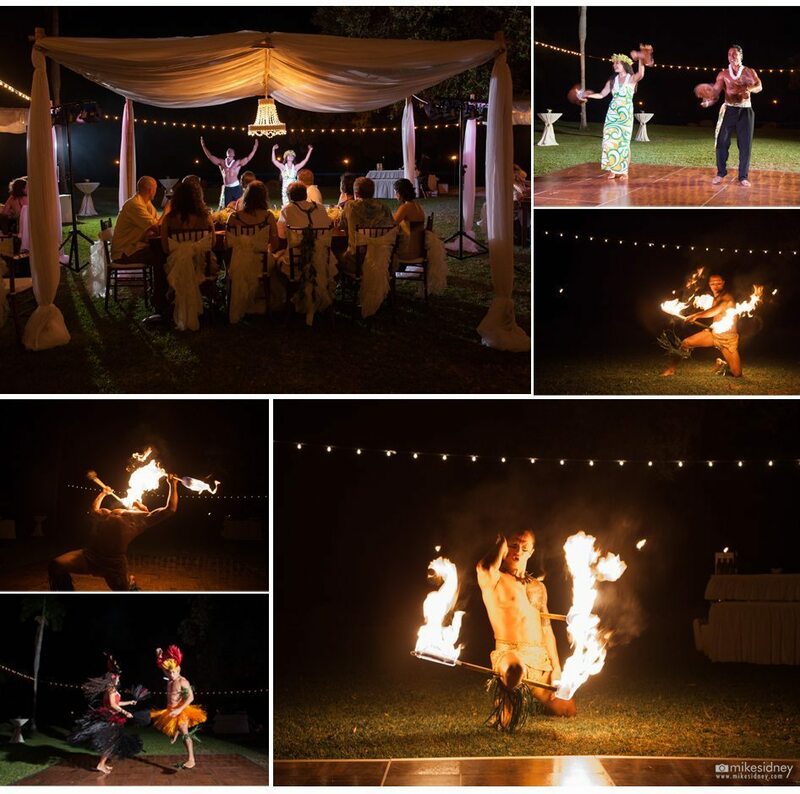 After a delicious buffet style dinner catered by Soup to Nuts Catering, the couple and their guests enjoyed a fabulous private luau show with Polynesian dancers, a fire knife dancer and live musical entertainment by Manutea Nui E.
After that the happy couple and their guests danced the night away to the sounds of DJ Chris Serna of KCK Entertainment. 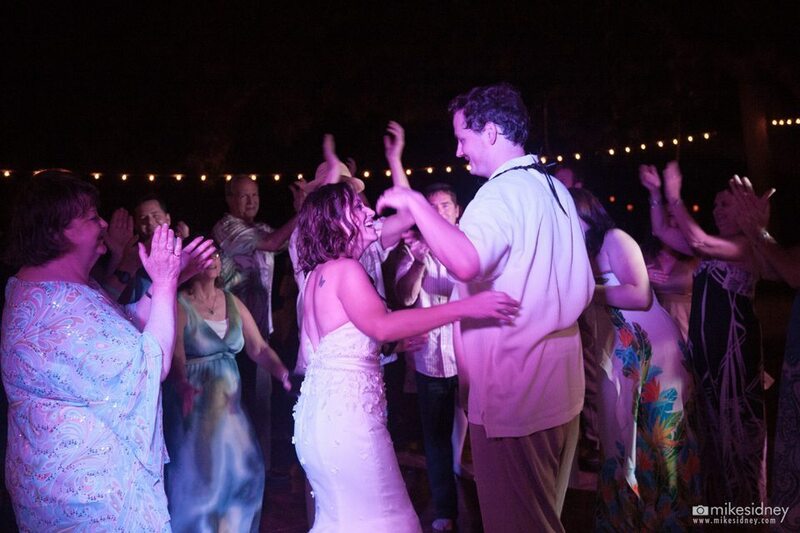 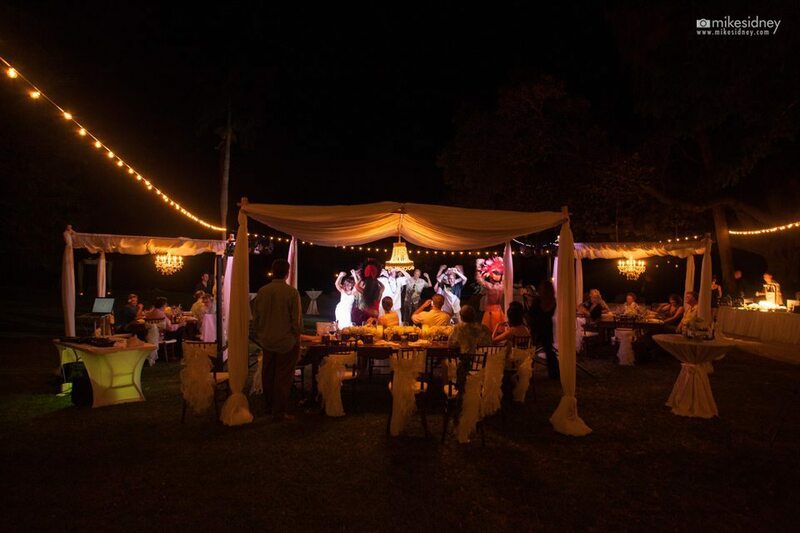 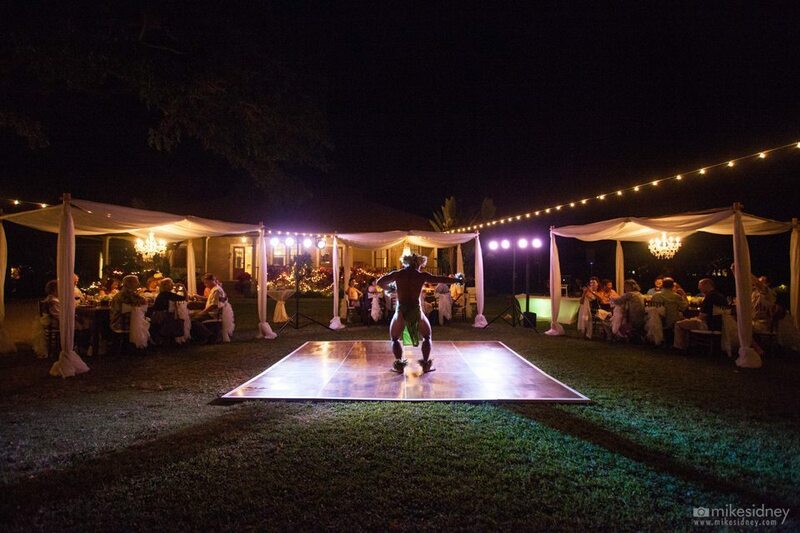 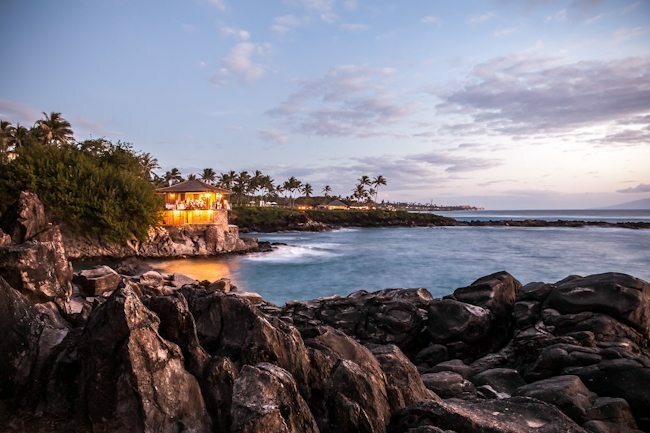 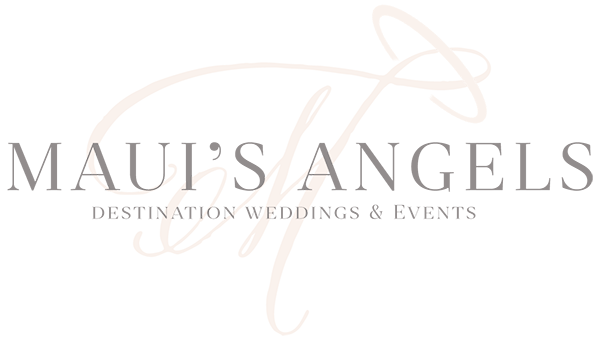 The entire evening was simply magical and Maui’s Angels Weddings was so honored to be a part of such a special day! 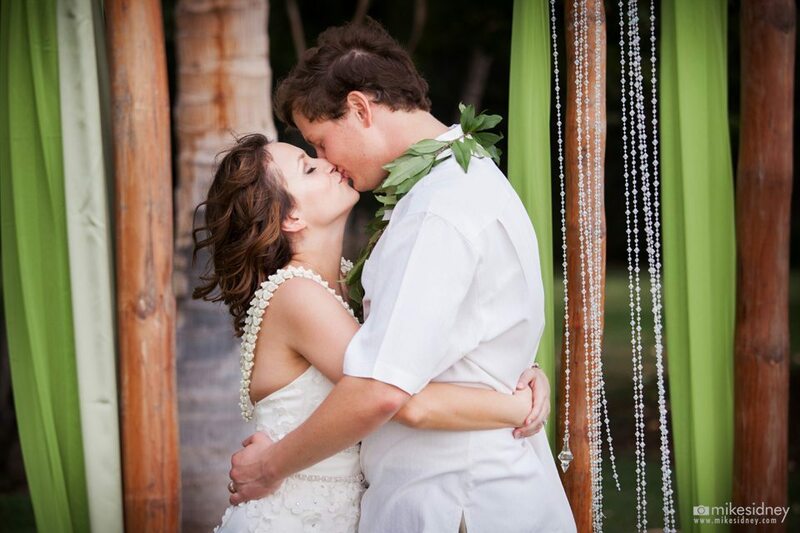 Congratulations to Christine & Clay, we wish you a lifetime of love, happiness and Aloha!